Coat and hat by Edeline Lee, boots by Chiara Ferragni. 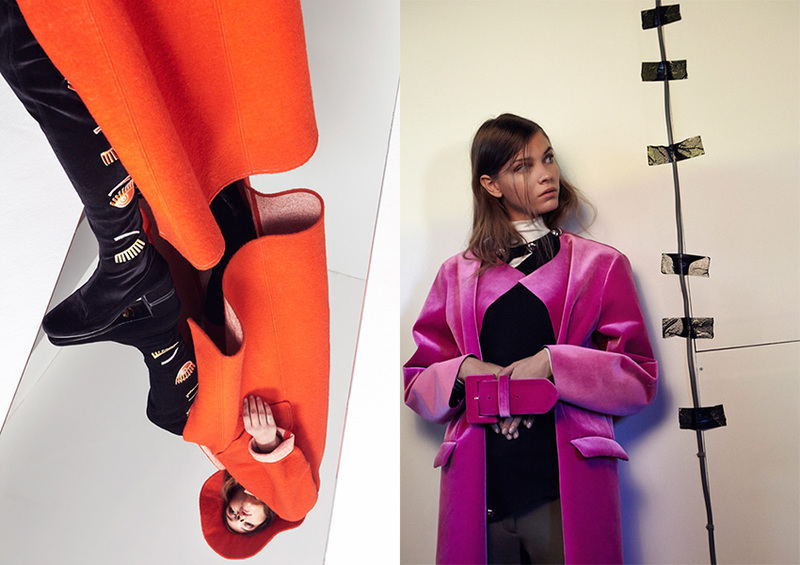 Turtle neck by Minki Cheng, black top by BACK by Ann Sofie Back, coat by TOGA Archives and trousers by Dagmar. Turtle neck by Gudrun&Gudrun, denim Trousers by Maison Kitsune, coat by TOGA Archives, heels by Chiara Ferragni and earrings stylist’s own. Skirt by Georgia Hardinge, blouse by Filippa K and sunglasses stylist’s own. Body by Base Range, denim Jacket by Maison Kitsune, suede gloves by Alcantara Fyodor, skirt by TOGA Archives and boots by Weejuns. Top by J.H.Zane, skirt by Norse Projects and boots by Chiara Ferragni. 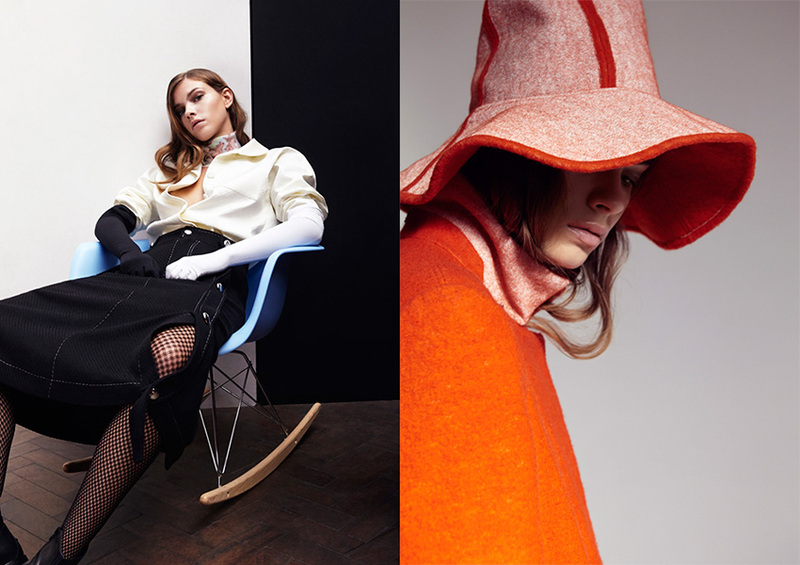 Knitwear worn underneath by Minki Cheng, orange Vest by ESCADA, skirt by Peter Jensen and gloves by Cornelia James. 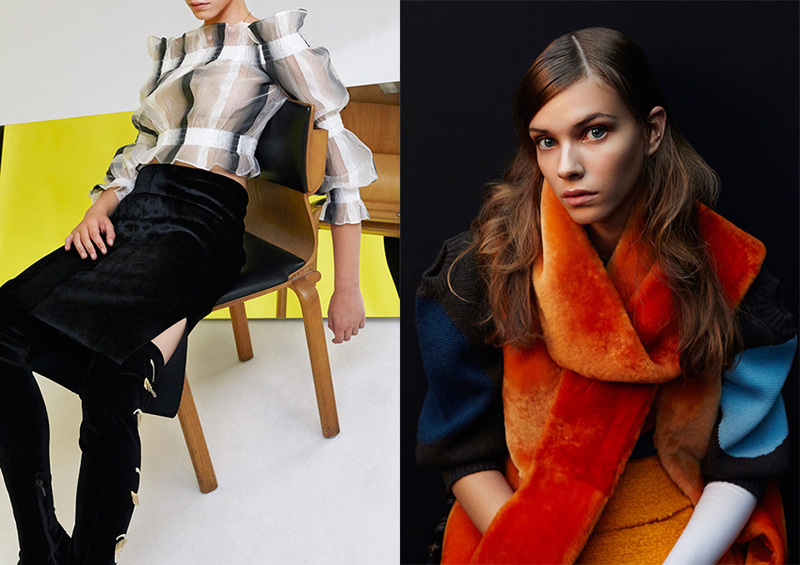 Turtle neck by Minki Cheng, black top by BACK by Ann Sofie Back and skirt by B Collide. Shirt by J.H. Zane, skirt by BACK by Ann Sofie Back, tights stylist’s own, boots by Weejuns, scarf by Silken Favours and gloves by Cornelia James. Coat and hat by Edeline Lee. Photography by Jc Verona, fashion by Marianthi Chatzikidi, hair by Danielle Maguire, make up by Lauren Reynolds, retouch by Erwin Schulz, set design by Maya Angeli and modeling by Xannie Cater@Select Model Management. Creative info: Jc Verona, Marianthi Chatzikidi, Lauren Reynolds and Maya Angeli.